(1714 - 1788). German Composer. The second surviving son of Johann Sebastian Bach, he is nicknamed the Berlin Bach because of his 28 years as court composer to King Frederick the Great of Prussia. 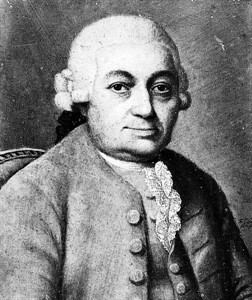 Like his brother Johann Christian Bach, he influenced successive generations of composers (including Mozart and Beethoven) with his progressive compositions and writings. Among his most important pieces are his flute concertos and keyboard sonatas.